The past two weekends have been busy ones in my household, or should I say, gardens. The beginning of October signals great planting weather for all types of plants and vegetables. As a result, I have been busy planting cool season vegetables in my edible gardens as well as sprucing up my container plantings. Introducing my granddaughter to the wonders of plants at our local nursery. 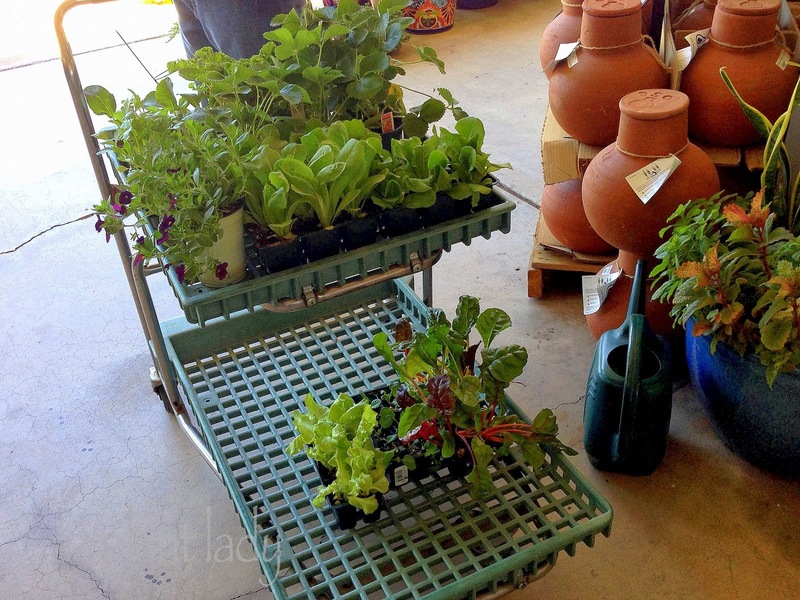 The past two weekends involved visits to the nursery to peruse the vegetables as well as a few other types of plants. It is very hard for this horticulturist to NOT get carried away with buying plants. I try very hard to stick to my list of plants but I often fail and come home with another plant or two. 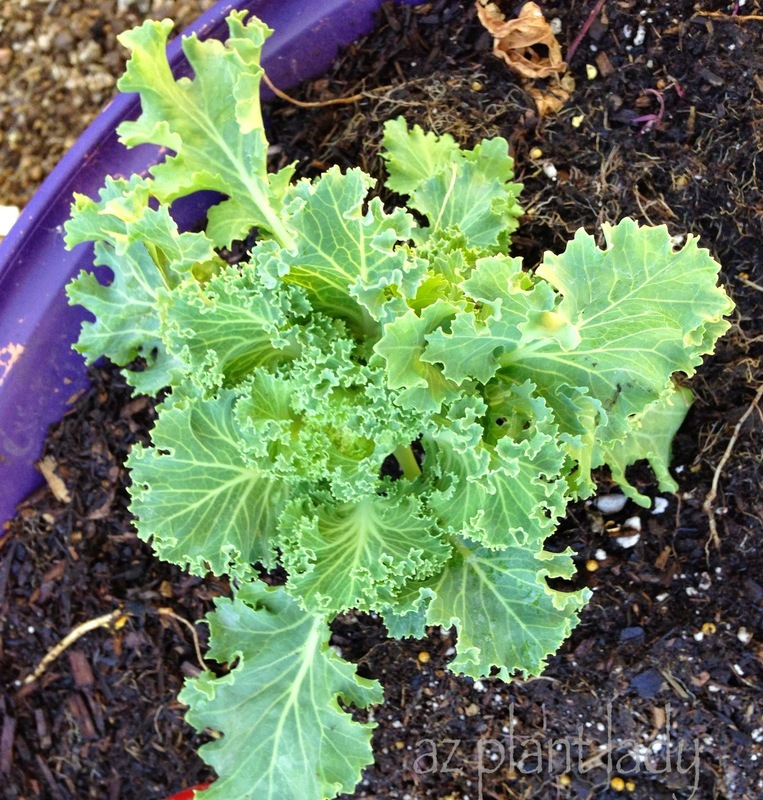 Kale (I may try making Kale ‘chips’ and also using the younger leaves in salads). Swiss chard (I plan to use the young leaves in salads). Artichoke (I’m not sure if I will harvest the artichokes or let them continue to grow, since artichokes make great ornamental plants too). The last vegetable I will be trying this year is celery. Now, celery is said to be fussy and hard to grow in the Phoenix area. But, part of the fun of gardening is experimenting. So, I bought 2 celery transplants, just to see what will happen. Of course, I have many other types of vegetables in the garden. Most have been planted, but I still have some still to plant. Later this week, I will show you what else I have planted in the garden. Do you grow vegetables? If not, it is easy to do and you don’t even need a plot of land. You can grow vegetables in pots if you like. **Last week, I took you along on my shopping trip to the produce section of my local supermarket in my quest to create a natural, fall centerpiece. I promise to show you what I came home with and what I created with vegetables and fruit in my next post. Noelle, I love growing Swiss chard. I can grow it year round, here in Tucson.